As part of your book launch, you will want to get as much online exposure as you can, both on large media sites like Forbes and Entrepreneur.com (nicely done, Steven) and on as many blogger sites as possible. The more places your book appears, the more reminders people will have to buy your book. You want it to seem like everyone is talking about your book; you want as much buzz as possible. So rejoice in, and appreciate, every mention! While some authors may feel like it’s important to first determine a person/blogger’s level of influence before engaging or sharing a guest post to increase possible return on the investment of time spent, it is my opinion that every mention is important. Here’s why: even people/bloggers you perceive to be small have their own areas of influence. In fact, the audiences for small blogs may be the most fiercely dedicated and committed. It is impossible for an author as an insider to judge the relative importance of another blogger or blog because, often, vanity metrics obscure a person’s true influence. And a person’s online influence may also obscure their real world influence. Someone who appears small online may have a much larger person to person, face to face influence. I encourage authors to accept and appreciate any and all offers for reviews, interviews, and guest blog appearances, fulfilling as many requests as possible. There are no small blogs or small bloggers. I rejoice as much at a RT from Twitter newbie with 10 followers as I do with a mention from a Twitter rock star with several hundred thousand. Next week I’ll share about one key strategy for handling the deluge of requests you might face. 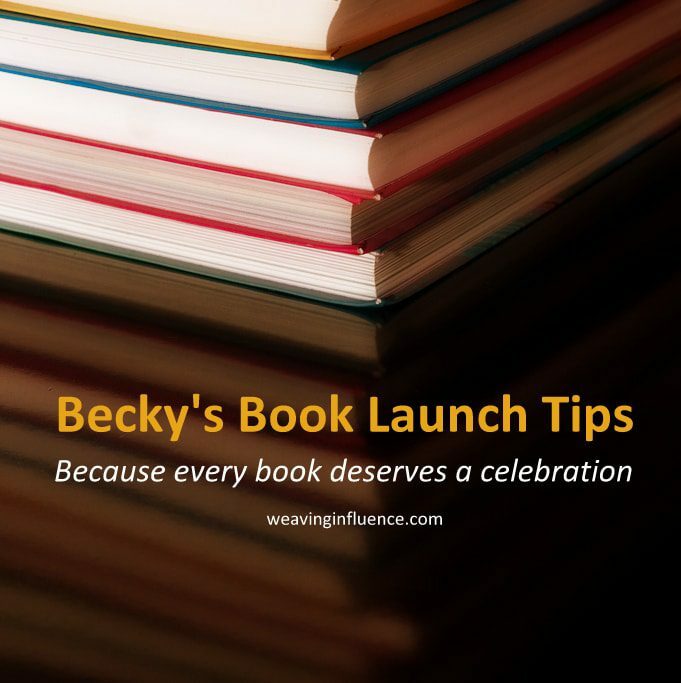 In the meantime, if you are preparing to launch a book, or if you are actively marketing a book that’s already launched, I encourage you to appreciate and rejoice at every mention. Tell me something! I shared some pretty strong opinions in this post. Do you agree that every mention is equal, or do you think it’s important to focus your energy on the opportunities that you perceive to have the highest impact? Becky, you call our attention to two polar approaches, both of which have merit. Does one seek quality over quantity, or does one take the quantity regardless of the quality. I don’t think there’s a perfect answer, but I lean toward the validity of your opinion. I will connect, interact, engage almost anyone. (I block obvious spammers). My philosophy is that you never know the influence of the person mentioning you. In fact, I just read a story this morning about a salesman who was rude to store clerk. When we went to seal a BIG deal with a CEO having dinner with his daughter he discovered it was the same girl. His mistreat of the girl killed the deal. I always appreciate any mention. Thanks. It’s interesting… I have interviewed a number of authors for my blog. Most of these have been fantastic collaborative exchanges where we learn a bit about one another, share philosophies and ideas, and both leave a bit richer (and the relationship continues and expands). A free book is nice, but my guess is that has nothing to do with why committed bloggers are looking to engage. It’s a substantial investment to read a book well enough to review. Every now and then I interview someone where it seems their publicist has told them to do it (there heart is not in it)…. or perhaps they feel like my reach is not worth their time (as you state, there are many problems with that assumption). In those cases, I would rather have them not engaged, because I feel like it’s been a waste of both of our time. It’s much more difficult to write something that will really support the book, if the connection is weak. The irony is that these folks are writing books about great leadership. Great leadership is not about what you can get from a relationship… it’s about inspiring and giving. I would think that any great leadership writer would be looking to give to (and inspire) the leadership community at all levels.